An Bord Pleanala has no option but to refuse planning permission for a 52-acre infill in Dublin Bay, a planning hearing was told this afternoon. In a legal submission on behalf of Dublin Baywatch and the Clontarf residents’ Association barrister Donal O’Laoire submitted the infill was contrary to the requirements of the EU Birds Directive, the EU Habitats Directive, the directive on Environmental Impact Assessments, as well as proper planning and development. Dublin Port company is seeking permission to develop the 52-acre infill in the north port to cater for larger cargo ships requiring deep water berths. The company claims the facility is of strategic national importance and vital for economic development. But Mr O’Laoire told the hearing “the primary submission of Dublin Bay Watch and of the Clontarf residents is that this application falls to be considered under the strict regulatory regime of the Birds Directive, without amendment”. He insisted “the planning permission must fail as it offends against the requirements of the Birds Directive”. But he added that “even if this is not accepted by An Bord Pleanala, the application equally fails under the requirements of the Habitats and Environmental Impact Assessment directives, and because it does not constitute proper planning and sustainable development”. Liam O Dwyer of Dublin Bay Watch accused the port company of using its rail links to the national network as a smokescreen. He described the proportion of rail cargo at the port as a “tiny 1.75 per cent share” and added that most of this was accounted for by Tara Mines, one customer. Mr O’Dwyer also argued an already present risk of flooding in Clontarf, Sandymount and Ringsend would be exacerbated by the infill plans. Citing a range of expert opinions including the Environmental Protection Agency (EPA) 2003 report entitled “Climate Change, Scenarios and Impacts for Ireland” Mr O’Dwyer said the planting of 52 acres of “hard material” in Dublin Bay represented a “considerable flooding risk” in addition to that posed by climate change and rising sea levels. He told senior inspector Brendan Wyse the range of expertise arrayed against the Port Company’s plan was extensive. He cited from research carried out by the EPA, UCC in collaboration with the Hydraulics and Marine Research Centre, as well as the intergovernmental panel on climate change, to emphasise the risk of more intense storm events occurring more frequently. Dublin, he said was cited in a number of studies as being a low lying coastal area which was he said, “very seriously at risk” from flooding. Detailing that risk fellow Baywatch member Peter Bailey said the EPA report had concluded the impacts of “sea level rise will be most apparent in the major cities of Cork, Limerick, Dublin and Galway” and that this was a serious problem where strategic infrastructure was located. The Dublin Docklands Development Authority (DDDA) adopted ‘‘pro-developer’’ planning practices in the past, partly due to the influence of senior figures from Anglo Irish Bank who were on its board, according to the current DDDA chairman. Professor Niamh Brennan said that two independent reports showed significant shortcomings in the previous operations of the authority, but a range of procedures were being implemented to address those issues. The DDDA last week reported an operating deficit of €27 million for 2008 and a write-down of €186 million on its investments, mainly relating to its stake in the former Irish Glass Bottle site. A severe cost-cutting programme will reduce the operating deficit to single figure millions this year, but the agency will require government assistance to survive. Sources believe that financial support is likely to be forthcoming, as the government would be responsible for the liabilities of the state-owned organisation even if it were to close. Brennan said that the two reports - which were ordered by environment minister John Gormley and compiled by independent financial and planning consultants - identified significant shortcomings in the authority’s past procedures, particularly in relation to planning. ‘‘The planning function of the authority was used to facilitate development and may not have been operated as independently of development as it should have been," Brennan told The Sunday Business Post. ‘‘Planning standards, as a result, were compromised." The reports also showed ‘‘very, very loose internal financial controls’’ in the DDDA, she said. The two inquiries had gone as far as the DDDA could go in terms of its internal documentation, and whether further action was needed was a matter for Gormley, Brennan said. The close links between the agency and Anglo Irish Bank have also been criticised by opposition parties. Sean FitzPatrick, former Anglo chairman, was on the DDDA board, which was chaired by another Anglo director, Lar Bradshaw. Brennan said that Anglo was a very ‘‘pro-developer’’ bank and there had been ‘‘a significant influence by the bank on the culture of the authority’’. The authority has fast-track planning powers under which it can give developers planning permission that cannot then be appealed. However, its use of these powers in granting planning permission to a Liam Carroll development was heavily criticised in a High Court judgment in a case taken against the authority by developer Sean Dunne. Brennan said the authority was keen to maintain its fast-track planning powers and said that new procedures had been introduced to ensure the independence of this process. There have been significant changes and cost-cutting at the DDDA since Brennan became chairman in March. In July, former chief executive Paul Maloney resigned almost a year ahead of the end of his contract, although he was paid to the end of his contract term. Brennan said that the authority felt that paying Maloney was the correct step to take at the time. Most of the DDDA’s staff are on fixed-term contracts, and job numbers are falling quickly due to non-replacement of staff. There were 55 staff at the start of this year, but this has fallen to 38 now, and the plan is to have 22 staff by the end of next year. Among those due to leave are John McLaughlin, director of architecture and planning, whose contract expires next month. The DDDA is moving from its headquarters on Sir John Rogerson’s Quay, which it will lease or sell, back to its former headquarters on Custom House Quay. Plans by Treasury Holdings' Real Estate Opportunities (REO) vehicle for a €250m hotel and leisure complex at Roundwood Park in Co Wicklow have been appealed to An Bord Pleanála. Roundwood Park was famously the scene of a failed kidnap attempt of Brown Thomas and Penneys owner Galen Weston in 1983, when gardaí arrested five men after a shoot-out that resulted in four of the attempted kidnappers being shot. Prior to Weston, the land was owned by former president Sean T O'Kelly. The 377-acre estate was bought by REO subsidiary Swinwood in 2005 for €17m. Swinwood has now appealed the 32 conditions imposed on the proposed development while a third party has also objected to the plan for a five-star hotel, two golf courses, an equestrian centre and a spa pavilion in the grounds. As part of the conditional go-ahead for the project, Wicklow County Council said that Swinwood would have to pay more than €3.3m towards public infrastructure and facilities. It also said that the holiday units could only be four short-term lets and could not be used as places of residence. It also said that nine of the tourist lodges should not be built and that the hotel would have to be built in the first phase. It said too that retail units in the hotel should be for tourist-related retailing only. Accounts recently filed for Swinwood for the 2008 financial year state that a "deterioration in the economic environment in Ireland" resulted in a decline of just under €9m in the value of the company's development property. It made a pre-tax loss of more than €660,000 last year. "Further deterioration in the economic environment could have a material adverse impact on the value of the company's property portfolio and equity and as a consequence on the company's ability to obtain longer-term debt or equity financing required to meet its longer-term financing and liquidity requirements of the company," the directors' report states. The directors said they had sought and received an assurance that any shortfall in requirements until the end of next year would be met by REO. Auditors KPMG inserted an emphasis of matter in the accounts stating "there are a number of material uncertainties which may cast significant doubt on the ability of the company to continue as a going concern". These include the ability of the REO group to successfully negotiate the rollover and renewal of some bank loans. The accounts were not qualified. Developer Sean Dunne's plans for a €300m development on the former Jurys hotels sites he owns in Ballsbridge, Dublin 4, have hit a stumbling block. Dublin City Council believes that the location of the hotel block would result "in serious overshadowing of the open space, thus reducing it to a cold and unpleasant place". It has also expressed concern at the number of single-aspect units in the plan, some of which face north, and the quality of lighting and balconies within part of the proposed complex. It is concerned, too, about "the level of privacy of some windows which are close or beside neighbouring balconies". The council also raised questions about the low level of sunlight in some of the proposed open spaces and about overshadowing of properties to the northeast and northwest of the proposed scheme. More details have also been sought on plans for social and affordable housing and Dunne has been asked to allow better public access through the site. "There is also concern that the proposed route/arcade through from Lansdowne Road to the Vets site is ill-defined and of poor quality," the council wrote. Dunne has been asked to justify the need for a 10-year planning permission and to provide details of "mitigation measures to limit the impact of the building works over such an extended period". The effects of wind on the proposed scheme also needed further analysis, the council said. Dunne will now be able to submit revised designs to address the council's concerns. Contrary to reports elsewhere the scheme has not been refused permission. Instead, Dunne's Mountbrook Homes has been asked to submit further information on the proposal. Dunne bought the former Jurys Ballsbridge and Berkeley Court hotels for €380m. He said 450 full-time jobs would be created if the complex – which would also include shops, medical facilities, the hotel and restaurants and bars – was given the go-ahead. Billionaire businessman Dermot Desmond dubbed the design of the buildings proposed for the site "bland, uninteresting, typical of many nondescript and uninteresting buildings that lie unused and unlikely to be used throughout the city of Dublin". Developer Myles O'Malley's Shelbourne House Partnership meanwhile expressed its "disappointment" with the overall scheme and objected to "the poor design, which seems to have been put together in a hurried manner". The first competition to design a tower for the Britain Quay site was run in 2003 but the identity of the chosen winning design could not be determined. Later it was discovered that that particular entry should have been disqualified in the first place, so Irish architect BCDH's submission of a tower with a 45-degree twist was declared the winner. Originally due to be 60 metres high, by 2006 the height of the building had increased to 130 metres. Documents released by the Department of the Environment to the Sunday Tribune earlier this year said legal proceedings between BCDH and the DDDA "were either under way or being contemplated". However, details of the correspondence could not be published as the department deleted the email in a highly unusual move. Asked at the time why details related to a possible legal action were deleted, an assistant principal in the department admitted that "perhaps that email should have been archived rather than deleted". The DDDA was accused of being "breathtaking in its arrogance" in 2005 by North Wall Community Association chairman Gerry Fay for assuming that its plans for the U2 tower should take precedence over a higher tower planned by Liam Carroll. The DDDA wanted only one tower developed on the south docks and Carroll already had planning for his. Fay said it was "patently obvious that the DDDA completely underestimated the scale of development required at this location in 2000, when the original plans were drawn up". He accused the docklands body of being caught "ball watching – rolled and mugged, once again they are now playing catch up." 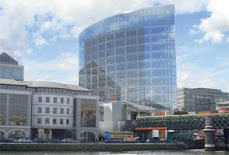 Minutes from a Dockland Council meeting in July 2005 showed that the authority was in talks with Carroll to seek a joint development of his property and the DDDA's Britain Quay property "which will provide that there will be only the U2 tower and in addition that the Dunloe Ewart property will be developed only in accordance with the planning scheme". The DDDA has since insisted that there were "absolutely no compensation issues" in relation to Carroll. Carroll failed to finish his project in the five-year planning timeframe. Dublin City Council decided it would not be built as insufficient works had been completed. After negotiations with Carroll broke down, the DDDA decided to seek tenders for the site and to allow different designs to be used. In February 2007, a shortlist of five bidders was announced by the DDDA, namely Ballymore Properties; Royal BAM Group; a joint venture between Treasury Holdings and Sisk; Sean Dunne's Mountbrook Homes; and the River II Partnership, made up of the Kelly, McCormack, Elliott and Flynn families, who are involved in property development. However, it subsequently emerged the members of U2 were bidding for the tower site themselves, in a joint venture with Ballymore. They were then advised that members of the band "will not have any role or involvement, directly or indirectly" in assessing bids for the project. The Ballymore-Paddy McKillen-U2 consortium, dubbed Geranger, won the competition to develop the site but the property market collapse meant the DDDA suspended negotiations regarding the development for 12 months. That revised deadline of October of this year was also missed. "We are now reviewing our options for consideration by the board," a spokeswoman for the DDDA said recently. Where to begin? The DDDA has a 26% stake in Becbay, the company which owns the Irish Glass Bottle site, which is now valued at €50m. Fellow Becbay partner Bernard McNamara is suing the DDDA in relation to the venture and the docklands body has now set up a sub-committee to deal with the issues. McNamara is in turn being sued by private clients of Davy Stockbrokers, who provided the mezzanine finance for his stake in the venture. The other shareholder in Becbay is Derek Quinlan. The DDDA approached at least one other developer about becoming involved in the venture. Redquartz, which is owned by Paddy Kelly and his family, were also approached with a view to seeing if they would become a joint venture partner. Originally aimed at high-end retailers like Harvey Nichols, Armani, Gucci and Tiffany, the €50m CHQ retail complex has struggled since it opened and is known for its vacancy rate and lack of footfall rather than its attractions. The DDDA said last week that it hoped trading conditions would improve next year when the Luas to the Point opens, the Beckett bridge opens and the National Convention Centre throws open its doors. However, it admitted a change of use for the building might be needed and that closure is one of the options that will be looked at. The Liffey Island project instantly raised eyebrows when it was announced. The quays were to be extended into the river using podiums which would allow tall buildings be developed. Part of the site would be dug out to create a new canal with small bridges crossing it. The project has been shelved until at least the completion of the Poolbeg masterplan. In 2005, the DDDA bought the famine replica ship the Jeanie Johnston for a reported €2.7m. Four years later, minutes from a meeting of the DDDA's board in April show it was still unsure what to do with the ship. In the end, it announced that it was to become a museum, following through on the initial plan from 2005. The authority had offered the Department of Defence use of the ship as a training vessel for free but the offer was turned down. A company called Aiseanna Mara has been appointed "to carry out essential maintenance" on the vessel but the DDDA removed details of this cost which were included in minutes of the board. The authority racked up legal fees of more than €5.4m during 2008, partly in relation to the judicial review of the planning certificate granted to developer Liam Carroll to develop the nationalised Anglo HQ building on North Wall Quay. Building has since been stopped on the skeleton structure as a decision is awaited from An Bord Pleanála on whether it can be completed. Developer Sean Dunne is trying to have it demolished. Legal fees were also incurred in relation to damages "due to water ingress to the Vaults Bar in the IFSC. Some other legal matters are also pending resolution the accounts said. The Jones Oil site was acquired last year for €17.4m. "There was a CPO on that site; it was before my time… it was not something we could get out of and an arbitrator established a price and the price was determined in a very different environment and we... were tied into that price," said DDDA chairwoman Niamh Brennan last week. The writedown on the land is between 60% and 70%. The CPO process on the site was initiated in 2005 and the independent arbitration was completed during 2006 and 2007. The DDDA bought the Readymix site in 2006 and the plan is to "sit on it" until the market improves. The site came on the market with a guide price of €16m-plus and was bought by the DDDA for €23m. The DDDA is saddled with net liabilities of €48.5m. But new chairwoman Niamh Brennan faces a tough fight to avoid having the body wound up by the Department of the Environment, writes Neil Callanan. Niamh Brennan: 'I would say that we are one of the most realistic organisations in the country in the property business in terms of the values we are showing in the accounts'. The purchase of a stake in the €412m Irish Glass Bottle site in Poolbeg has changed the Dublin Docklands Development Authority forever. Now valued at €50m, DDDA chairwoman Niamh Brennan said last week that it was "very, very unfortunate we bought at such a price". Brennan, who was appointed earlier this year, said the authority believes that the property will go into Nama and "the state will have the asset". However, she believes that "at this point in the economic cycle that doesn't look like a fantastic thing but... that is a prime piece of land in the best possible part of Dublin which will be very significantly attractive to many people and the state will have it. What looks like a very sorry story at the moment, I think if you take a medium- to long-term view it will turn out to be much better than it might appear at the moment." Brennan was speaking after the release of the authority's accounts and annual report. It shows a massive turnaround in the authority's position, with a deficit in its consolidated income and expenditure account, which includes Becbay, of €213m. Its consolidated balance sheet shows that it has net liabilities of €48.5m. So why should the DDDA be allowed continue when it has made a number of poor decisions (see story below)? Why shouldn't it just be subsumed into Dublin City Council, with its social-regeneration functions remaining independent? "The problems that the authority faces will be the same problems whether we subsume it into another agency or not. It's not going to get rid of the problems," Brennan said. "I believe the authority, the board and the current management are the best group of people to sort out the problems, take the tough decisions and get the authority back onto an even keel – even though that even keel may be for a little time a bare-bones even keel – so that, in due course, when the market begins to pick up, it is in a position to finish the project, because the project isn't finished. She wouldn't reveal the amount the DDDA has had to pay towards consultants' fees for Becbay "for reasons of confidentiality". Brennan said the DDDA was "working very hard on housing sales" in order to generate turnover for the authority and was "also focusing on the cost sides because we have to get the authority back to break even". But housing starts are down and this will impact on its future income. The DDDA is due to receive a final payment on a site, which will boost its income, but it would not say last week who that payment was due from and what site it related to, saying it was commercially sensitive. Currently there are just under 40 employed at the authority, where once there were more than 60. By the end of next year it will be back to 26, the same level as four-and-a-half years ago. It will also put its current offices on the market, for sale or to let, to generate income and return to its former offices on the north quays. The accounts show that the average salary and number of employees at the authority increased in 2008 despite the collapse of the property market. "I suppose at that particular point in time, there was a range of projects which are still ongoing but since then we have cut back," said Gerry Kelly, the authority's interim chief executive officer. "The new business model that we have in place is to cut back on projects and look at the 'must haves' rather than the 'nice to haves', and that will be greatly reflected in our 2009 figures. I would say that by the end of 2010 we will have halved our salaries figure." That said, there have been no pay cuts so far, aside from wider public-sector levies, although Kelly said that there would be "a drastic restructuring on both the management and the staffing side of the authority". Pay cuts will now be looked at "for everybody". Kelly meanwhile has been asked to continue in his acting CEO position until March. "The reason why the board came to these decisions was because the authority is going through a great deal of stress. Its position is very fragile, we need institutional memory," said Brennan. The upshot of all the cuts will be that the DDDA's deficit this year will be less than €10m, down from €27m last year. The DDDA aggressively wrote down its property assets to reflect the slump in development land. The Jones Oil site, which is the most recent addition to the authority's land bank, suffered a "massive" writedown because the authority was locked into a compulsory purchase process. Other sites had their values written down by a similar amount. "We have written down everything about as prudently as you could possibly have... we have written them down to absolutely realistic values. I would say that we are one of the most realistic organisations in the country in the property business in terms of the values we are showing in the accounts," said Brennan. The authority's board and executive had an expenses bill of more than €625,000 between 2005 and 2008. Asked if some of them were over the top, Brennan said that, in her opinion, "one of the weaknesses found in the financial review was that whereas we had good internal processes for tracking costs, we did not implement those processes as robustly as we should have. Cost control was not a feature of the authority. It is now, it has to be, but I do think, looking at some of the expenditure, that it was over the top." Brennan hasn't asked for extra board members, saying the level of effort put forward by the current members was "beyond anything I have ever seen by any board before". The next step in deciding the DDDA's future will come from the corporate governance report which will examine the planning and financial side of the authority; this will be sent to John Gormley's Department of the Environment. Asked about Fine Gael TD Phil Hogan's call for the Comptroller & Auditor General to compile a report on the DDDA, Brennan said its own review was up to that standard. Gormley will have tough decisions ahead. Anglo Irish Bank's "culture" influenced the way in which the Dublin Docklands Development Authority (DDDA) "conducted its business", according to DDDA chairwoman Niamh Brennan. As a result, she said, the authority "became very focused on development and used planning to facilitate and encourage development". The authority's property assets were written down by €186m last year, it was revealed last week. Brennan has also said that the "introduction of the Anglo Irish Bank into the authority was not done by government appointments, it was done in reverse". Lar Bradshaw became the first chairman of the DDDA and within a year Anglo's Sean FitzPatrick had joined the board. "At that stage everything is fine. What happened next and... was replicated, was that Mr Fitzpatrick invited Mr Bradshaw to join his board [at Anglo]," Brennan said after the publication of the authority's annual report and accounts. She said that this had introduced the cross directorates "which then compromises the independence of the individual directors on the two boards and to a certain extent the two organisations and then when Mr O'Connor became chairman, within a few months he too was invited to join the board of Anglo". Meanwhile, acting DDDA chief executive officer Gerry Kelly has told the Sunday Tribune that the authority is involved in a multi-million-euro arbitration dispute in relation to the U2 tower. The arbitration involves a claim against loss of fees by architect BCDH, which designed the original winning design for the tower. The design was later dropped. Asked if the highest bid for a variant design won a later competition to develop the tower, Kelly said he "would not commit himself on that". Kelly also said that the authority was considering closing CHQ, the struggling €50m retail complex it owns. "Everything is on the table... We're looking at all options at CHQ," he said. "that planning standards were compromised by virtue of their being subsidiary to the development remit of the authority". In relation to the €412m Irish Glass Bottle site, which has been written down to €50m, Brennan said that "with the benefit of hindsight, one transaction has had a pretty serious effect on the authority's position... It is regrettable that we purchased a share of a site at the highest price in the market. If one could change history, one would like to change history." THE chief executive of the Limerick Regeneration Agencies has admitted six staff, including his daughter and the son of a non-executive director of the agencies, were recruited by the body without going through the standard public appointments process. Brendan Kenny's daughter Yvonne was recruited as a clerical officer and Brian McElligott - a son of Limerick Regeneration Southside non-executive director Liam McElligott - was also hired as a project officer, along with four other staff, with contracts up until June 2012. Kenny, who previously was a highly regarded assistant Dublin city manager, was headhunted in 2007 to lead the project aimed at regenerating the most disadvantaged areas of Limerick. Following queries from the Sunday Tribune last week, he acknowledged appointments, including that of his daughter, were made without publicly advertising the positions. He explained there was an enormous urgency, and demand from local residents, at the time he took the position to get the agencies up and running. The type of appointments needed were quite unique and to go through the public process, rather than "hand picking" recruits, would have taken "months and months". At the time, Kenny said, "we felt there was such an urgency [because of the crisis facing the disadvantaged areas] but of course with hindsight it would have been better to go through the process". He noted that his daughter Yvonne's appointment was at the lowest level grade and that she had quickly filled the requirement to appoint somebody who could cover accounts, IT and reception. Having moved down from Dublin with his family staying in the capital, he also said it was of "big benefit to me personally" to be joined by his daughter. Kenny stressed that Liam McElligott was a non-executive director – one of 34 board members between the north- and southside bodies – and that he had made "no approach whatsoever" in relation to his son. Brian McElligott is from Limerick, which was important for those working on the project team, and had some experience of project management. He also said the chair and the board were happy to sign off on the six appointments. Kenny added that the appointments were not at management level and at the time they were recruited they would have had no difficulty in getting jobs elsewhere given the booming economy. Limerick Regeneration was established in 2007 following public revulsion at an arson attack in Moyross on Gavin and Millie Murray. It has been widely praised for its work to date and the masterplan it has drawn up is due to go to cabinet this week. Kenny said staff had been working "night and day" and at weekends to this end. DUBLIN CITY Council’s decision to go ahead with the construction of the Poolbeg incinerator was likely to result in legal action, Minister for the Environment John Gormley has said. The council yesterday said it would begin construction of the 600,000 tonne incinerator in just over two weeks’ time, a move described by Mr Gormley as “most unwise” and “foolhardy”. Mr Gormley said it was likely that he would introduce a cap on incineration which would limit the facility to burning just half its annual waste capacity. The council’s announcement that construction of the facility is to start on December 14th comes just one week after Mr Gormley published his International Review of Waste Management Policy which suggested measures which would limit the amount of waste available for incineration. Mr Gormley is to appoint an official to examine the “put or pay” contract requiring the council to provide 320,000 tonnes of waste to the incinerator annually, or pay penalties to the developers, Covanta. He has asked the Attorney General to investigate competition issues arising from contracts related to the incinerator. “I suspect that at some stage this will end up in the courts and they [the council] are most unwise – it is foolhardy to proceed in this way,” he said on RTÉ radio yesterday. While construction has not yet begun, the developers have for several months been clearing the site and conducting ground investigation works. Politicians representing the southeast area of the city said Mr Gormley should have stopped the facility before it reached the construction stage. The council’s attempt to “force through” the development was a “blatant show of defiance to the Department of the Environment”, Mr Andrews said. Labour city councillor Kevin Humphreys said Mr Gormley had let the country down by failing to deliver on his election promise to stop the incinerator going ahead. TAOISEACH Brian Cowen has declined to be drawn on the question of whether the State will have to rescue the Dublin Docklands Development Authority (DDDA), which will today report an estimated operating loss of €27 million. Fine Gael leader Enda Kenny said the authority as a commercial body “cannot default on its loans” and he asked if the taxpayer “is going to have to fork out €27 million” for the authority when the taxpayer “is already expected to put €27 billion” into Anglo Irish Bank. Mr Cowen said the authority’s annual report and accounts would be issued today and that they “will be dealt with by the chairman at the publication of those accounts”. Fine Gael raised the issue for the second day running and Mr Kenny noted that in the wake of the floods “the Government was able to come up with a maximum of €12 million for people whose livelihoods are washed away. The docklands authority was funded by Anglo Irish Bank and personnel from the bank “were on the board of the authority”, Mr Kenny said. The authority “is a commercial semi-State body financed entirely from its own resources generated through the acquisition, development and sale of assets in the docklands,” Mr Cowen said. Stressing the €27 million operating loss, Mr Kenny said the DDDA “cannot default on its loans” and he asked again if taxpayers would have to pay €27 million when they are already being asked to put “€27 billion into Anglo Irish Bank, which authorised the loans”. External auditors KPMG audited the authority’s accounts and representatives of the DDDA will appear before the Oireachtas environment committee next week, Mr Cowen said. Chairwoman Prof Niamh Brennan “has particular expertise” in corporate governance and two reports are due on planning and the authority’s finances, the Taoiseach added. He could not “speculate on what the review might say, but obviously that report will be considered” along with any recommendations arising from it. The Dublin Docklands Development Authority (DDDA) has today confirmed that it recorded an operating loss of €27 million last year. Describing 2008 as “an exceptionally difficult year”, chairman of the DDDA Prof Niamh Brennan said the collapse of the property market posed huge problems for the agency and it would need financial support from the Government. On an operating basis before impairments, the authority reported a €27 million deficit last year, compared to a €3 million surplus for 2007. The DDDA said it faced impairments, losses and other writedowns on its various property asset of €186 million at the end of 2008. The writedowns include the authority’s 26 per cent interest in the Glass Bottle site in Ringsend, bought three years ago at the height of the boom by a consortium that included the authority, Bernard McNamara and Derek Quinlan, for €412 million. Combining operating loss and impairment losses, the DDDA ended 2008 with a deficit in its consolidated income and expenditure account of €213 million as against a surplus of €3.7 million a year earlier. In addition, the agency had net assets in its own single entity balance sheet of €26 million by the end of 2008 compared to net asses of €177 million in 2007. Speaking yesterday, Taoiseach Brian Cowen declined to be drawn on the question of whether the State will have to rescue the agency. Prof Brennan, who took over as chairman of the agency in March after the resignation of Paul Maloney as chief executive, admitted public confidence had been seriously undermined in recent months. However, she added the authority had made "significant progress" in addressing its financial problems and estimated that the deficit for this year would be "substantially lower" than in 2008. Prof Brennan said the authority had taken “an exceptionally aggressive” approach to write downs on property assets in 2008. “The board was of the view that there was no point in waiting to deliver more bad news on this front in six or twelve months time and took a very aggressive approach to writedowns in 2008 so that the Authority will not be effected by such levels of impairment in future years,” she said. She said the authority had to take "a radically different approach" to restoring the agency's finances and to completing outstanding projects. Responding to the loss, Fine Gael environment spokesman Phil Hogan said there were now "serious concerns" the Government would bail out the DDDA "and that those responsible for the massive losses will get away scot-free". "The Dublin Docklands Development Authority was hijacked by developers and Anglo-Irish executives, and it is these individuals that should meet the burden of the losses, not the taxpayer," he said. "The Minister for the Environment had to sign off on the borrowing requirements and, therefore, he must have known of the perilous state of its finances since he came into office," Mr Hogan said. He said a conflict of interest still remained with the DDDA as a planning authority getting involved in a joint venture with private developers "to purchase grossly over-valued sites with the promise of quick planning permission"
Mr Hogan expressed the hope the new DDDA chairperson would tackle the issues raised. Labour spokeswoman Joanna Tuffy said the docklands deficit was a "shocking indictment" of the management of the authority over recent years and pointed to a "serious failure" of political supervision. She said "reckless decisions" by the board had brought the DDDA close to bankruptcy and left the taxpayer facing a financial black-hole. "Minister Gormley has been in office for two-and-half years yet seems to have done nothing to stop the rot in the DDDA." THE DUBLIN Docklands Development Authority said yesterday it would require financial assistance from the State as a result of its purchase of the Irish Glass Bottle site. The DDDA confirmed it made an operating loss of €27 million last year and faced impairments, losses and writedowns on its property assets totalling €186 million. The DDDA, set up to regenerate Dublin’s docklands area, ended 2008 with a deficit in its consolidated income and expenditure account of €213 million. This includes its share of the liability of Becbay Ltd, the company that bought the Irish Glass Bottle site for €400 million at the peak of the property market in January 2007. Prof Niamh Brennan, appointed chairwoman of the DDDA earlier this year, said the collapse of the property market during 2008 and a plunge in the value of the authority’s assets meant it had been an “exceptionally difficult year”. Apart from the €27 million operating deficit, the DDDA recorded net liabilities in its consolidated balance sheet, which includes the Becbay liability, of €48.5 million. Prof Brennan said the authority’s operating losses had continued into 2009. “The authority is currently running a deficit, although the deficit for 2009 would be less than 2008. We believe we can break even. That won’t happen overnight, but the board believes it is an attainable goal,” she said. Prof Brennan said the significant expense of the Irish Glass Bottle site transaction meant the DDDA would need financial assistance from the State. This could be in the region of €35 million. Development projects planned by the authority will now be either shelved or cancelled, she said. “Obviously we have limited means and we have to target our resources in the most effective way. We are trying to focus our resources on the social regeneration work of the authority,” Prof Brennan said. These projects will continue to go ahead, she added. The DDDA’s social regeneration remit includes a number of education projects such as the funding of local schools and sponsorship of third-level places. The DDDA’s development projects also include the building of the U2 Tower at Britain Quay. The authority said in October 2008 that this project was on hold for at least a year until market conditions improved. Prof Brennan said yesterday the DDDA would implement a “new business model . . . which will result in a more conservative approach”. A High Court ruling against the authority in 2008 in respect of the use of its planning powers would have a “profound impact” on how it conducted its business, she said. Earlier this month, developer Bernard McNamara began legal action against the DDDA in relation to the Irish Glass Bottle transaction. Mr McNamara and developer Derek Quinlan were the other stakeholders in Becbay. Mr McNamara claims that, because of the High Court finding last year that the DDDA acted outside its powers in fast-tracking permission for another docklands development at North Wall Quay, the DDDA was never entitled to enter in November 2006 into an agreement to develop the Irish Glass Bottle site. PLANS TO provide a large mixed-use development, including a 26-storey building, on the site of the former Royal Liver Retail Park on the Naas Road in Dublin 12 have been turned down by An Bord Pleanála. The board held that, by virtue of its height and scale, the 26-storey block would be out of character with the area and would be contrary to proper planning and sustainable development. The Fitzwilliam Partnership, which paid in the region of €60 million for the park over four years ago, had sought permission for a mixed-use development of 93,151sq m (1.003 million sq ft) in six blocks of five to 11 storeys with the feature block climbing to 26 storeys. The scheme was also to have two basement levels that would accommodate 673 car-parking spaces. The development was to have included a 191-bedroom hotel; a 75-unit apart-hotel; 248 apartments; medical centre; banking hall; 23,615sq m (254,189sq ft) of offices; three live-work units; a public library; 35 retail units extending to 15,822sq m (170,306sq ft); five restaurants and childcare facilities. Dublin City Council also refused permission for the 26-storey tower block but granted permission for an amended development plan on the remainder of the site. Though recommending that the planning permission be refused, Juliet Ryan, an inspector with An Bord Pleanála, acknowledged that there was “much merit” in the proposal. She said the scheme had the potential to create a vibrant new development that could make a significant contribution to the built environment in this location. However, given the Z6 zoning of the site and the lack of supporting policy in respect of the proposed nature and extent of retailing, residential and office use proposed, and the lack of supporting policy for a landmark tall building, she was not satisfied that the development was supported by statutory or strategic policy, or that it would not have an unacceptable adverse impact on nearby town/retail centres. The board ruled the mixed-use proposed was contrary to the planning objective for the site of generating employment. It also said it amounted to over-development of the site and concluded that, given the scale of the proposed development adjacent to the junction of the Kylemore Road and the Naas Road, the scheme would “tend to create serious traffic congestion”. The Irish Peatland Conservation Council (IPCC) has claimed that a €12 million wind farm in northeast Clare could damage the landscape if the proper stress tests are not conducted. Last month, Clare County Council gave SWS Energy Ltd planning permission to construct an eight-turbine wind farm to the south of the Maghera mountain range near the village of Tulla. In its appeal to An Bord Pleanála the conservation body said: “If the proper stress tests specific to peat soils are not conducted . . . construction could lead to a bog burst. With the aim of protecting the rare . . . blanket bog habitat and the birds of international concern, the above proposed development should not be permitted to go ahead.” A decision from An Bord Pleanála is not expected until March. Dublin City Council’s decision to go ahead with the construction of Poolbeg incinerator is likely to result in legal action, Minister for the Environment John Gormley has said. The council today said it would be starting construction of the 600,000 tonne incinerator in just over two weeks time, a move described by Mr Gormley as “most unwise” and “foolhardy”. Speaking on RTÉ radio, Mr Gormley said it was likely that he would introduce a cap on incineration which would limit the facility to burning just half its annual waste capacity. A report commissioned by private waste contractors, which was published last week, claimed the incinerator’s capacity should be halved. The Irish Waste Management Association report said a facility with a capacity of 250,000 to 300,000 tonnes per annum would be more than adequate to meet Dublin’s requirements until at least 2037. Mr Gormley is in the process of appointing an official to examine the “put or pay” contract which requires the council to provide 320,000 tonnes of waste to the incinerator annually or pay penalties to the developers Covanta. He has also asked the Attorney General to investigate competition issues arising out of contracts related to the proposed incinerator. The city council said it could not say what action it might take until it was given detailed proposals of any cap on incineration. However a spokesman pointed out that it had planning permission from An Bord Pleanála and a waste license from the Environmental Protection Agency (EPA) for the facility. While construction has not yet begun the developers have for several months been clearing the site and conducting ground investigation works in preparation for construction. Politicians representing the south east area of the city said Mr Gormley should have stopped the facility before it reached the construction stage. The council’s attempt to “force through” the development was a “blatant show of defiance to the Department of the Environment,” Mr Andrews said. Labour city councillor Kevin Humphreys said Mr Gormley had let the country down by failing to deliver on his election promise the stop the incinerator going ahead. IARNROD Eireann will seek planning permission early next year to build an underground DART line in Dublin costing up to €3bn. The proposed new line would run from the Docklands to Inchicore. Capacity would be 20 trains in each direction per hour, potentially allowing 64,000 commuters to use the line every 60 minutes. The completed line would connect the Northern and Kildare rail lines and link all rail systems -- DART, commuter, intercity, Luas and Metro North -- into an integrated and cohesive network. The rail operator intends to seek planning permission in the New Year to build the 7.5km line under Dublin city, which would be financed under a public-private partnership (PPP) model. This means the private sector would build the line and receive annual payments over a concessionary period -- generally up to 20 years -- from the railway company to pay off construction costs. Despite the economic downturn, the Government has told both Iarnrod Eireann and the Railway Procurement Agency -- which is planning the €3.7bn Metro North link from the city centre to Swords -- to continue designing the projects and secure planning permission so they are ready to go. Transport Minister Noel Dempsey has said both projects are priorities. However, a decision on funding will not be made until planning permission is granted. Iarnrod Eireann says the underground DART is the "single-most important piece of infrastructure" to ensure a shift from private to public transport. It said all options in relation to the PPP were being considered, including the length of time over which the project cost would be repaid. "All options are being explored in relation to PPP including the concessionary period and the type of contract," a spokesman said. "The Government has stated to us it is our number one priority for infrastructure and we are proceeding on that basis." Five of the six stations on the 7.5km line would be constructed below ground, with an overground station at Inchicore. The planned underground stations are located at Heuston, Christchurch, St Stephen's Green, Pearse Street and Docklands, and all are being designed to cater for a capacity of 60,000 people an hour to facilitate the future growth of the capital's transport service. The company said the station entrances are being designed as "distinctive identifiable landmark structures", and that natural lighting would be used where possible. The underground stations would be constructed using underground mining techniques that would minimise the effect on local residents. Two tunnels, each containing a single track, would be excavated using Tunnel Boring Machines (TBMs). Each tunnel would have an average depth of 24 metres, over 80 feet, below ground level. If the project gets the go-ahead, between 6,000 and 7,000 jobs in each year of the construction phase would be created. Work would begin in 2011 and should be completed by 2016. ANOTHER milestone has been reached in a €75 million programme that will change the face of one of Tralee’s most disadvantaged areas. Tralee Town Council has signed a contract to build six additional units and a laundry room at Tobar Naofa as part of the Mitchels-Boherbee Community Regeneration Project. The Tobar Naofa complex consists of four apartment blocks with a total of 42 apartments, all of which have been designed to "House of Tomorrow" standards and are heated by a district heating system fuelled by a wood chip boiler. The contract for the new units has been awarded to Ned O’Shea & Sons, Tralee. The units and the laundry room will be constructed as part of the existing complex at Tobar Naofa, which was recently awarded an excellence in local government award by Chambers Ireland for its district heating system. The units will be a mix of one and two-bedroom apartments which will be wheelchair accessible. Once constructed, they will be allocated to residents downsizing from the immediate area. It is anticipated they will be completed by August 2010. Future plans for the Tobar Naofa complex include the refurbishment of Moyderwell Convent to provide a daycare centre for the elderly on the ground floor and eight more apartments on the first floor. Tralee Town Council is hoping work will start on the convent in 2010. "Despite the tough economic climate, the Government is committed to supporting the Mitchels-Boherbee Community Regeneration Project," Tralee town clerk Michael Scannell said. Work is presently underway on the levelling of 51 houses in Mitchels Crescent as well as 18 houses in the nearby St Patrick’s Bungalows. The demolition phase of the project will take around 12 weeks and will pave the way for the development of a new street which is intended to change the image of the area. It will also include an integrated services building on the site, which will allow for greater co-ordination of services. The services will include training courses and enterprise space for use by people within the immediate area and the wider community in Tralee. The first phase of theregeneration project saw the building of Tobar Naofa on the former St Mary’s Secondary School site, in Moyderwell. In the past two years, the town council has successfully relocated 40 families from the Mitchels Crescent area in preparation for the demolition phase of the programme. Ambitious plans were unveiled today for a €430 million ski, casino and all-weather tourism complex in Co Louth. Developers claim about 1,500 jobs will be created at the Altitude snow sports and leisure centre just outside Dundalk over the next seven years. Investors are also banking on the Government loosening gambling laws, clearing the way for a casino with the entire complex potentially attracting six million people a year. Sam Curran, one of the developers, said the centre will be built in phases with the ski facility one of the first to open. “We’ve done very extensive work over the last 30 months to fine-tune what we include in our plans,” he said. The development is planned for a 29-acre site just off the M1 Dublin-Belfast motorway at Dowdallshill, Dundalk. The plans include ski and nursery slopes; a 100-plus bed family hostel; 110,000-sq ft indoor concert arena; cinema, tenpin bowling and children’s zone; 40,000-sq ft surf and swim centre; sports and leisure stores, restaurants and bars. Later phases will include additional hotel accommodation and the international casino. Developers claim it will create 1,198 full-time and 388 casual direct jobs. It is hoped work can begin early next year with the first attractions due to open in the first half of 2011 and other phases to be introduced over the next five years. The project will be privately funded without support from from Irish banks, and Mr Curran said it has the potential to help boost the economy. “While the current economic climate is clearly not ideal, it does present some cost advantages in the construction phase,” Mr Curran said. PROPERTY DEVELOPER Seán Dunne has written down the value of the Berkeley Court hotel in Ballsbridge by €35.3 million. This represents a 28.6 per cent haircut on the €122 million paid by Mr Dunne for the 2.16-acre site in 2005 at the height of the property boom here. The hefty impairment charge is booked in accounts just filed by BCPHC, a company controlled by Mr Dunne. The accounts also state that the company is in talks with its bankers, which include Ulster Bank, to ensure that “sufficient working capital will continue to be available to the company”. The accounts, signed off on October 29th last, state that the “estimated recoverable value” of the property is €87.4 million. But it adds that “in light of the current market conditions, it is difficult to establish a reasonable valuation for the site”. Mr Dunne’s revised application for his two hotel sites in Ballsbridge was rejected by Dublin city councillors last week. This setback and the continuing weakness of the Irish economy and property market could have put a further dent in the value of the Berkeley Court site. Such were the uncertainties facing BCPHC that auditor KPMG said it was “unable to form an opinion” as to whether the accounts “give a true and fair view” of the company’s affairs at the end of July 2008. KPMG highlighted four “significant uncertainties” facing the business. These were uncertainty over the revised planning application – since rejected – and the ability of the company to secure funding to develop the site. The auditor also raised concerns about the difficulty of valuing the site in the light of the economic backdrop and raised questions about whether day-to-day funding can be maintained. Efforts to contact Mr Dunne and his representatives were unsuccessful last night. Mr Dunne acquired the Berkeley Court and the Jurys Ballsbridge hotels from the Jurys Doyle chain in 2005 for a combined €379 million. Mr Dunne planned to build a Knightsbridge-style high-rise mixed development, with a 37-storey tower as its centrepiece. 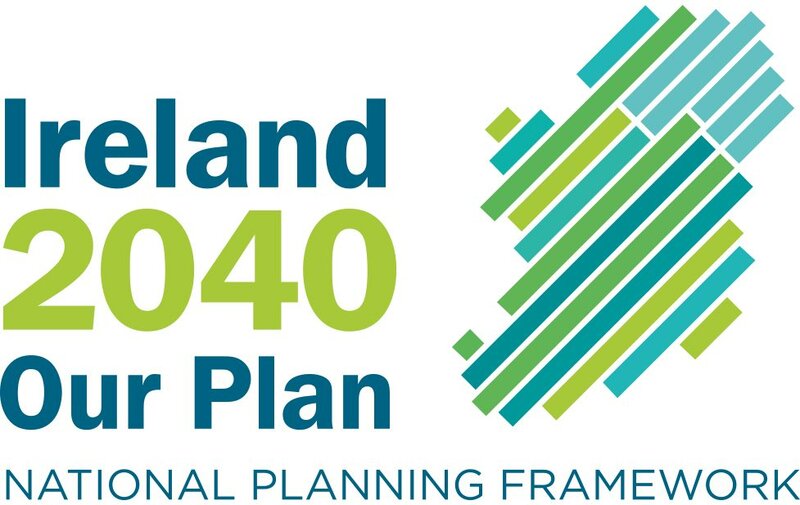 This plan was rejected in January 2009 by An Bord Pleanála. The hotels were reopened by Mr Dunne and currently trade under the D4 brand. Mr Dunne’s purchase of the Ballsbridge hotels was funded by a €326 million syndicated loan led by Ulster Bank. This included an €84.1 million contribution from Icelandic bank Kaupthing. Earlier this year, a leaked document to the board of Kaupthing, dating from September 2008, stated that the hotels had been valued at €520 million. Mr Dunne provided a guarantee of €250 million to the banks, according to the document. FINE GAEL leader and Mayo TD Enda Kenny has said "mistakes were made" in the county over the controversial Corrib gas project. Mr Kenny, who had been largely silent to date about the protracted dispute, told delegates at a business conference in Cork last Friday: "Mistakes were made in Mayo. People's rights were trampled on. Their rights were moved aside." He was responding to a question from the floor about foreign inward investment, during which he addressed the potential of the renewable energy industry. Mr Kenny confirmed he had made the comments but insisted he was "referring to the early years of the project when it was being developed by Enterprise Energy Ireland". Shell subsequently bought the field in 2002 for a reported €7 billion. "My view was clear from the beginning. I always said the Corrib field should be harvested, with due regard to the highest standards of safety and the environment," Mr Kenny said. "I respect An Bord Pleanála's recent decision. It is an independent and competent body that is removed from any influence. They have made their decision and now Shell has to respond to that," he continued. The board has ruled that almost half of the new route was "unacceptable" on safety grounds. "Six years ago, I did say put the pipe up the bay ," Mr Kenny said. THE DUBLIN city engineer has rejected claims by Minister for the Environment John Gormley that the taxpayer could face bills of €18 million a year for the next 20 years if the Poolbeg incinerator goes ahead as planned. The Minister was speaking after the publication yesterday of a report commissioned by private waste contractors which claimed the 600,000 tonne incinerator’s capacity should be halved. The contract with the incinerator firms Covanta and Dong requires the local authorities to supply 320,000 tonnes of waste annually to the plant. If they do not, they have to compensate the consortium at a rate of €100 for every tonne not supplied. Speaking on RTÉ Radio yesterday, Mr Gormley said the shortfall in the amount of waste that is likely to be available for incineration could see the council left with a multimillion euro bill every year of the operating life of the plant. “Even the capacity they have promised to deliver, 320,000 tonnes, again is far too large, if you look at what can be delivered now and into the future it looks as if it could be half of that. Mr Gormley also said that because of that potential cost to the exchequer, he had appointed an officer to investigate the financial implications of the contract. Dublin city engineer Michael Phillips said yesterday the council had not been made aware of any such appointment or investigation. A spokesman later confirmed the Minister had meant to say he would be appointing an investigating officer shortly. Mr Phillips said the council was planning for the long-term management of the region’s waste. Its plans for the incinerator had been endorsed by An Bord Pleanála and the Environmental Protection Agency (EPA), he said. If the council was beginning the process of seeking permission for the plant now, it would still seek the same capacity, he said and he did not envisage the council having to pay any compensation to the consortium. “I do not know where that €18 million figure came from. The Minister or his department did not come to us in relation to any figures.” There would be “more than adequate” waste to fill the 320,000 tonne capacity required by the contract, he said. He added that while the council had not been informed of the appointment of an investigator, it would welcome and “co-operate fully” with any investigation. The report published yesterday by the Irish Waste Management Association said a facility with a capacity of 250,000 to 300,000 tonnes per annum would be more than adequate to meet Dublin’s requirements until at least 2037. SLR Consulting Ireland, which conducted the report on behalf of the association, said it surveyed the 19 private waste firms operating in the Dublin region. Fifteen replied to the survey and of those 10 said they did not plan to bring waste to the plant, five said they did not yet know if they would and none said they intended to use the facility. LAST MINUTE changes to the Nama legislation will mean that all land rezoned in future will be subject to an 80 per cent windfall tax rate when sold. The introduction of an open-ended tax affecting all changes in zoning was slipped through virtually unnoticed as an amendment to the Nama legislation in the Seanad last week. A senior figure in the property industry warned yesterday that the broad changes in the new tax regime would undermine the value of land eligible for rezoning in the future. He said it would also make Nama’s task more difficult and would have an immediate impact on many land valuations being carried out for the banks and for Nama itself. The 80 per cent windfall tax originally proposed by the Green Party was intended to apply where land was rezoned from agriculture, open space or recreational to development use. However, the amendment introduced in the Seanad means that the new tax will apply across the board where any change of use is made – even for very good planning reasons, such as where a developer decides to use an old factory site for housing. Garvan Walsh of land agent Kelly Walsh said the tax changes would mean a return to the old days when money was passed under the counter in land sales to avoid paying high taxes to the Revenue. It would also lead to joint ventures between landowners and developers to ensure the land was not subject to the new tax. He said the principle of a betterment levy was sound but “not at a crazy 80 per cent level”. Development on most residential sites in the greater Dublin area stopped earlier this year and, when work eventually resumes, builders will be concentrating on low density housing rather than apartment blocks. The complex Nama legislation was rushed through the Seanad last week and is due to be signed into law by President McAleese within days. THE PEOPLE living in a handful of newly-built houses in a small estate in Dublin were distinctly unimpressed when sewage started backing up into their homes earlier this year. It became clear that the problem wasn’t isolated to a single house or two so the residents employed an engineer to investigate the problem. He found that the pipes laid by the builder and connected to Dublin City Council’s main sewer network were of poor quality and not fit for the purpose. In the normal course of events, the council would have taken responsibility for rectifying the problem but this is not a normal situation as the developer had never had his work approved by the authorities. As it effectively had no planning permission, the council washed its hands of the situation. The cost of re-laying the pipes will run to around €100,000, or €8,000 per house, and while the residents can take an action against the builder, a solicitor familiar with the case told The Irish Times that such action may be futile. It will take two years to get to court, the pipes have to be fixed immediately and in all likelihood the developer, whose financial situation is already perilous, may have gone out of business long before their case is heard. The problem faced by Linda McGrath isn’t as severe but is still annoying. She bought a newly built apartment in August 2006 and, after a couple of months, the wall mounted lights stopped working. She contacted the developer who passed the problem onto the electrical contractors who wired the house. They carried out some minor repairs and replaced some fittings but the lights still didn’t work so they advised the couple to contact the ESB. The ESB determined the wiring was faulty, information which McGrath relayed to the electricians who were supposed to come back to do a full electrical analysis within a few weeks. “We never heard from them again,” she says. One avenue which is of little use to McGrath is the HomeBond new-build insurance scheme which covers housebuyers against serious structural damage up to €200,000 for 10 years after the house is built. HomeBond may, however, come to the aid of Sean Murphy (not his real name) but he has been waiting nearly a year for a major problem to be addressed by the organisation. He bought a newly-built apartment in Clonee four years ago and, almost as soon as he moved in, cracks appeared on the walls. He contacted the developer who assured him they were minor “settling in cracks” and to give it six months. A year later he contacted the developer who insisted the problem was cosmetic. He re-filled them but they reappeared. Murphy decided to sell up two years ago and quickly found a buyer. The survey carried out on behalf of the buyer revealed that the cracks were structural so the sale fell through. A second sale has also fallen through at the last minute after a different surveyor uncovered the structural damage. The developer who built the apartment has gone out of business and Murphy has been dealing with HomeBond since early this year. He says contacting the insurer and getting it to expedite the repair process is difficult as it insists on sending repeated letters to the builder – although they have shut down – and the letters are being delivered to an empty office. HomeBond was changed last year and operates on two tiers – one covers houses built after October 2008 and another houses built before then. Once a complaint is made about a house or apartment which falls into the former category, a technical inspector is sent to examine the problem. If they conclude that work needs to be done and that it falls within the parameters of the policy, a payment is issued. Making claims on properties registered with HomeBond prior to October 2008 is not as easy and those doing so have first to deal wi\th the builder who must investigate the complaint and reply within a reasonable time (there is no clear guidance as to what’s considered reasonable). If they don’t take action consumers can contact HomeBond with a claim – but if Murphy’s experience is anything to go by the process can be slow. These consumers struggling with poorly constructed properties thrown up at speed during the boom years are stories of our time. While many of the houses and apartments built during the good times are good quality, others are falling to bits and the builders who built them are reluctant to address the issues as they are struggling financially and cannot afford the outlay on properties they assumed were off their books. Last year the National Consumer Agency (NCA) published an extensive report on the Irish home construction industry. It examined costs to consumers and the protections available when buying or upgrading a property and reported that 21 per cent of people surveyed said they had experienced problems. The main problems reported were poor workmanship (57 per cent) and failure to complete to a schedule. Some 17 per cent of people complained about work being started but not completed while 13 per cent referred to quality of materials issues. The average cost of putting problems right in recently built houses and apartments was €1,911. Worryingly, the report found that consumers who had recently bought houses would, as yet, be unaware of many of the problems, including those relating to wall insulation and foundations. It found that consumers were “poorly protected” in legislation and made 25 recommendations, including a statutory system of certificates of compliance for contractors and subcontractors, a simple contract for small domestic works and better dispute-resolution procedures. The chief executive of the NCA Ann Fitzgerald told The Irish Times earlier this week that consumers often have more legal protections when they “buy a kettle compared with buying a house”. She said there had been “significant progress” since the publication of its report last November but accepted that more work needed to be done to improve consumer protections. The NCA had a nominated representative on the Building Regulations Advisory Board and there had been “major improvements in the level of information available to consumers via the new Royal Institute of Architects of Ireland website and the new HomeBond package”. She also said the RIAI had confirmed to the NCA that it was writing a professional indemnity clause into its new standard contract and said a number of professional bodies were working on the development of a standard contract which the NCA would review in due course. Fitzgerald said the NCA was working on an alternative dispute resolution process, covering the wider area of consumer redress. She said this would include elements which would help people resolving problems with properties without having to take an expensive route through the courts. NEW WASTE management policies which would make the construction of large-scale incinerators redundant will be recommended in a report to be published today by Minister for the Environment John Gormley. The policies, if implemented, could make the 600,000-tonne waste incinerator at Poolbeg, Dublin unviable. Following planning permission for the Poolbeg incinerator two years ago, Mr Gormley said he would commission an international review of waste policy in Ireland. In mid-2008, European Environmental consultants Eunomia and Irish engineers Tobin were engaged to conduct the review. Their 1,200-page report with 24 recommendations on the management of waste and future policies will be published today. Key recommendations include the introduction of levies on incineration, a increase in landfill levies of several multiples of the current €20 per tonne rate, new recycling targets, and the end of black bin-only waste services by insisting all waste collectors provide a segregated household collection service. The report also makes recommendations on the types of contracts which can be entered into between local authorities and waste management companies. Contracts which require a local authority to supply to a waste facility levels of waste, which are not under its control to collect, should not be entered into. Contracts with waste collectors which direct to only bring waste to a specific facility are recommended against. Dublin City Council has entered into a “put-or-pay” contract to provide the developers of the Poolbeg incinerator, Covanta/Dong, with 320,000 tonnes of waste annually or pay a penalty. It is not likely this contract could be altered by any new policy, but future waste contracts could not have put-or-pay clauses. However, any attempt by the council to direct waste management companies to bring their waste to the Poolbeg incinerator could be resisted if the policy was introduced. The Irish Waste Management Association has indicated its members do not intend to use Poolbeg and, if backed by Government policy, it is unlikely they would agree to supply the council facility. TWENTY-SEVEN per cent of the population of Kenmare are foreign-nationals, compared with a figure of 14 per cent in other towns in Co Kerry and the rest of the country, according to a new local area plan. Large numbers of the population – 16 per cent – are over 65, as against a national average of 11 per cent. “This figure indicates the attractiveness of Kenmare as a place to settle,” the report says. However, the report presented to local councillors says too many holiday homes have been built and there has been haphazard development of housing estates on Kenmare’s outskirts, and many estates are not permanently occupied. The heritage town with a population of 1,701 has enough existing housing. Hundreds of houses and apartments have been planned or built in the past five years, despite a significant decline in permanent residents, according to the new study of the area. One-quarter of Kenmare’s housing stock of almost 600 has been built since 2001. In the past five years, a further 670 dwellings have been given permission within the town boundary, many as holiday home lettings. Eighty of these are apartments. If all the units were to be completed, the housing stock of Kenmare would double, despite the fact the population of Kenmare is declining. It went down by 8 per cent in the 2002-2006 census period. Meanwhile, councillors have asked for legal advice with regard to dezoning lands, claiming that large tracts in the wider Kenmare area and elsewhere are set to be returned to agricultural and rural general zonings. Director of planning Michael McMahon said there could be no guarantee that lands zoned in one five-year development plan would retain their zoning in a subsequent plan. There was no question of compensation, he also said. GROUPS from different parts of Kerry will today lobby councillors in advance of a debate on a controversial rule about telecommunications masts in the county development plan. The council bans the erection of masts within one kilometre of houses, schools and other residential buildings. The ruling is due to be reconsidered at the meeting of Kerry County Council. Some community bodies are strongly opposed to a move by county manager Tom Curran and other senior executives to have the rule removed. Council officials claim the restriction was affecting the roll-out of broadband throughout the county and the provision of modern communications for the emergency services. And despite the council continuing to refuse planning for masts because of the bylaw, An Bord Pleanála regularly overturns council decisions and grants planning permission for masts. So far, councillors have supported the retention of the rule and are coming under increasing pressure from groups of objectors to maintain that line. A spokesperson for the groups said they would be seeking the continuing support of elected councillors and were getting a petition signed by people throughout Kerry. The Glenbeigh area is a hotbed of protests against masts with objections, to about five mast proposals. Their anger was highlighted by the public burning of a mock mast by local people. One of the leading Glenbeigh objectors, Clara Leahy, said locals are concerned at the effects of exposure to electromagnetic radiation from communications masts and felt their concerns are being ignored. The council again applied the one kilometre rule to refuse the application to the latest application. An appeal has been lodged with An Bord Pleanála. But council management wants the rule removed from the county development plan which has been in place since 2003. "This provision is a very crude instrument as it takes any deciding role from the planners on any application for a mast once it is clear that the restriction applies to such an application," said a report from the executive. Since 2003, the council has received 75 applications for masts. Of these, 38 have been refused planning permission and 25 of the refusals have subsequently been overturned by An Bord Pleanála. Meanwhile, the Tetra communications company is seeking an alternative site for a 15-metre mast in Annascaul. Following a campaign by residents of the village, work was halted on a site that had been chosen for the mast. The company is now seeking an alternative site, a distance from the village. An Bord Pleanála, however, granted planning for the mast after an appeal against a refusal by the council. A ROAD safety and traffic management measure that would have meant hundreds of large lorries removed from Dublin city streets daily has been set aside because the city council has no budget for the plan. Despite the success of a heavy goods vehicle (HGV) ban introduced following the opening of the Dublin Port Tunnel, the council said it does not intend to go ahead with its planned extension to four-axle vehicles at present. It said the extension would cost €3 million over the next five years. The Road Safety Authority (RSA) last night said it was disappointed by the decision. The HGV management strategy introduced in February 2007 banned lorries of five axles or more from the city streets between 7am and 7pm. The measure was to have been extended to four-axle lorries this year. However, a report from the council’s traffic department, which will come before city councillors this week, recommends the measure “should not be extended to four-axle vehicles at present” and that annual monitoring of these vehicles should continue. The cost arises because the council pays the toll of lorries that, during the hours of the HGV ban, have to use the East Link bridge to move between the north and south ports because there is no alternative route available. To date the council has paid €1.6 million in toll rebates to hauliers who have had to drive their five-axle lorries across the bridge. The National Toll Road contract to operate the bridge ends in 2015. Until then the council will have to continue to pay the hauliers’ tolls, priced at €4.25 per trip, the report noted. It added that there had been a significant reduction in the numbers of four-axle vehicles in the city since 2006, and so the extension of the ban would have only marginal impact. The report said the HGV ban to date had been a major success and had resulted in “dramatic reductions” of up to 96 per cent in five-axle lorries in the city centre. The ban had made the streets “safer for pedestrians, cyclists and other vulnerable road users”, improved the lives of people who live and work in the city centre, and made it possible to create new bus lanes. RSA spokesman Brian Farrell said he could not comment in detail on the report as it had not yet been seen by the RSA, but lorries which did not need to be in the city centre should be removed. He said the RSA hoped any postponement of the measure would be temporary. A new architects' register will improve the quality of service for consumers, according to the Royal Institute of the Architects of Ireland (RIAI). Over 2,700 architects who have met specified levels of qualification and competence are listed on the new register, which was published in Dublin this morning. Henceforth, only architects who are on the register are entitled to use the title "architect". As part of a new system of self-regulation set out in the Building Control Act 2007, consumers may also avail of a dispute resolution mechanism in the event of poor service or suspected malpractice, and an advice service is also being provided. Seán O'Laoire, president of the RIAI, said that Ireland up to now was almost unique in not having a legally recognised title of architect. "Today is the culmination of a long and hard-fought battle to have professional standards set and so protect the public. The register for architects will lead to securing higher quality in our built environment for future generations." Under the legislation, the RIAI is the official registration body for architects in Ireland and will be responsible for providing 40 hours a year of compulsory continuing professional development for architects on the register. Research carried out for the institute found that the vast majority of people were unaware that the title "architect" was not legally protected. The RIAI says 80 per cent of the complaints it received last year related to unlicensed practitioners. Minister for Environment John Gormley welcomed the launch of the register and thanked those involved in establishing the systems now in place to manage the registration of architects. The Irish Waste Management Association (IWMA) today claimed the proposed Poolbeg incinerator was "grossly oversized" relative to waste needs and called for an urgent review of the project. The IWMA was releasing the findings of an independent report on the facility it commissioned. Minister for the Environment John Gormley responded to the report's findings by saying the State was facing a potential cost of €18 million for 20 years, if there was not enough waste to supply the incinerator. Minister Gormley said he had requested an examination of the financial implications of the contract. "The report firmly establishes that the facility is grossly oversized and goes on to clearly demonstrate that a facility with a capacity of 250,000 to 300,000 tonnes per annum would be more than adequate to meet Dublin's requirements until at least 2037 for residual waste management," a statement from the IWMA said. The proposed Dublin City Council (DCC) incinerator, in which Covanta and Dong Energy are commercial partners, would be one of the largest such facilities in Europe having an annual capacity to treat almost 600,000 tonnes of waste for a population of approximately one million people, the IWMA said. "Given that we produce on average 750kg of waste per head per annum this means that DCC and Covanta/Dong Energy will have to burn almost 80 per cent of our waste arising in Dublin to fill the plant, something that no other developed society does." The IWMA said the proposed incinerator threatened to bring a decrease in composting and recycling rates in the Dublin region, a "very anti-competitive" market with one large operator; and the negative environmental impact arising from the need to transport waste to the facility from other cities across Ireland to supply the facility's capacity. Brendan Keane of IWMA said: "The current proposed Covanta/Dong Energy Poolbeg incinerator is so oversized it will cause stagnation in the waste sector, lead to significant job losses, and make significant investment to-date obsolete." "The IWMA sees Dublin City Council's move to force all waste arisings in the region into the plant via the waste permit regulations as anti-competitive. "Contracts of this type would normally have a 'scaling clause' which would allow the parties to reduce the size of the proposed facility without the need for a new tender or revision of the contract," he said. Mr Keane said the plant's size could be reduced without going back for full planning. "At a time when money is scarce, it makes no sense to commit valuable public funds to this development. The IWMA believes that the Poolbeg incinerator as proposed is unsustainable from all angles." The IWMA is seeking an urgent review of the proposed development by a Government appointed independent inspector on foot of the report. However, Dublin City Council chief engineer Michael Phillips said he disagreed with the assessment provided by the operators. Mr Phillips said the city’s waste management plan envisaged 59 per cent of material being dealt with by recycling, 16 per cent going to landfill and around 25 per cent being treated at an incinerator. This plan had been in place for 10 years and were the council to draw up a new waste management plan today it would use the same criteria, Mr Phillips told the programme. He said the council had to look at the longer term needs of the city and average out short-term peaks and troughs in demand. Mr Phillips said there was a small amount of scale back in the plan, meaning the size of the facility could be reduced, but said it was not equivalent to 50 per cent. Minister for the Environment John Gormley has campaigned against the 600,000-tonne capacity incinerator, which is in his constituency and is due to open in 2012. The Minister is set to publish his international review of waste management policy, and this is expected to recommend limits on waste going to landfill or incineration. The plant, which would be one of the largest municipal waste incinerators in Europe, was granted a licence from the Environmental Protection Agency last December following the receipt of planning permission from An Bord Pleanála in November 2007. Retail vacancy rates in Dublin are at 20%, according to property advisers Colliers Jackson Stops, although it says much of this space is "peripheral" or "off pitch". The agency also says typical lease lengths have dropped dramatically from 25 years to between 10 and 15 years and retailers are securing options to break the lease after five or 10 years. Evidence is gradually emerging that property investment yields are beginning to stabilise, according to Michele McGarry, an associate director at the firm who says high-street retail yields now stand at 6.5%, with shopping centres at 8%, prime office buildings at 7.5% and industrial units at 8.5%. Yields are the rents expressed as a percentage of the selling price.